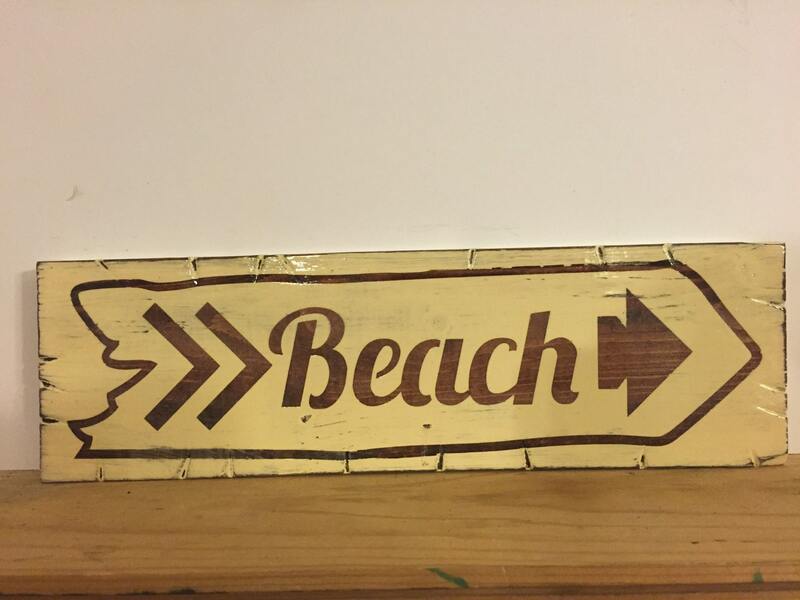 A fun, wooden rustic-style beach sign. It is approximately 4"x12". This is stained in red mahogany and painted in antique white. If you'd like a different color combination, just let us know!